Each of these crazy earrings was cut into strips, and the strips twisted all over. 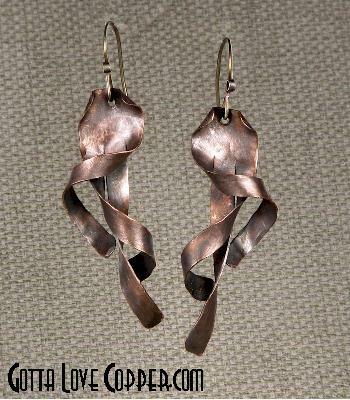 If you think you'd like them twisted differently, buy these and you can re-twist to your heart's content! You are visitor number 1,315 to this page.